Product dimensions 1.2" × 11" × 15.2"
You might have an ordinary kitchen faucet to obtain usual benefits from it. But, you would be taken aback if you note the advanced features and advantages of Delta Pull Down kitchen Faucet. So, to help you know sufficiently about delta kitchen faucets, we have brought here a Delta Pull Down 9113 kitchen Faucet review. 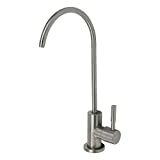 Delta pull down faucet has a powerful MagnaTite Docking that uses a powerful integrated magnet. It allows your faucet spray wand to stay in the place correctly and holds it there. The spray wand of delta 9113 gives you enough flexibility and docked when not in use. The sturdiness Delta single handle kitchen faucet will leave you stunned also as it uses Diamond Seat Technology. 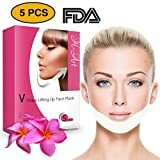 The technology uses a ceramic disc valve with real diamond coating that enables you to have five million uses. Thus, Delta Essa kitchen faucet last twice as long as the industry standard. With regard to put your trust completely on delta faucet 9113, the faucet comes with Delta Faucet’s Lifetime Limited Warranty as well. But these are not enough as the delta Essa 9113 has more amazing features compared to other faucets. 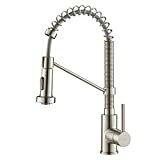 All of them are put in Delta Pull Down 9113 kitchen Faucet review. So, let us continue the review further. As mentioned before, delta 9113 has a Delta MagnaTite Docking spray wand that snaps precisely into place. It stays docked when not in use and does not droop over time like other faucets. The spray wand provides a 20 inches reach through 62 inches hose. Besides, the faucet provides 1.8 gallon per minute and the touchclean feature enables uninterrupted water flow too. Delta Essa kitchen faucet is convenient for the users as it has Touch-Clean® spray holes that remove hard water build ups. As a result, you can easily clean the impurities and get an uncontaminated faucet effortlessly. Moreover, the faucet has two functions spray wand: stream and spray for users’ comfort. Delta Essa 9113 can be easily installed through Deck mounted installation system. The Diamond seal technology also brings ease in installation. You should also be informed that 1 or 3 holes 8 inches installation is required for installing this faucet. Delta Essa kitchen faucet is superior to others in terms of materials and quality for its Diamond Seal Technology, featuring diamond-embedded ceramic disc. It reduces hassles like leaks and makes the faucet more durable than the industry standard. So, the faucet lasts more than your expectation. 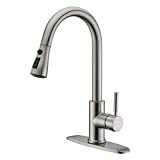 Delta faucet 9113 arrives in a modern transitional design. 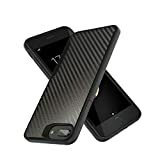 It comes in Chrome, Matte Black and Venetian Bronze finishes other than Arctic Stainless. The design and color is capable enough to attract any customer. The internal part is made of plastic. 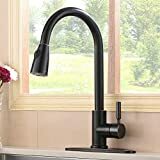 As you have read in this Delta Pull Down 9113 kitchen Faucet review, the Delta Pull Down kitchen Faucet is a worth-while faucet that is more advanced than others. Delta Essa kitchen faucet yields a brilliant performance with outstanding quality. It enhances your kitchen style too. 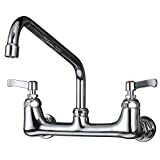 We hope the Delta Pull Down 9113 kitchen Faucet review helped you to distinguish delta kitchen faucets from the countless others and make an effective decision.